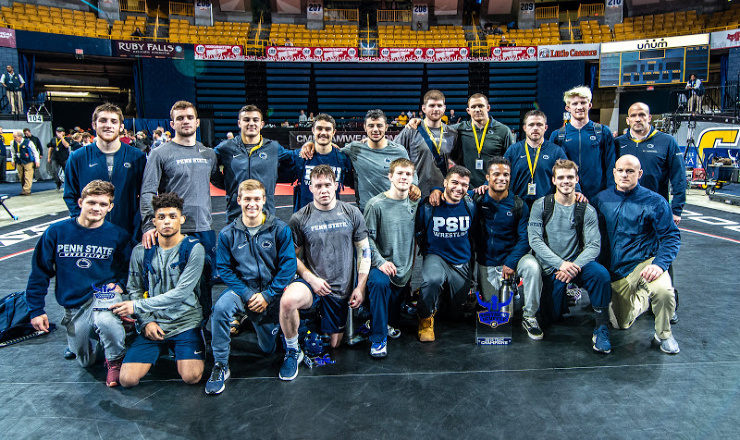 The Penn State Nittany Lions won the 2019 Southern Scuffle this weekend with a whopping 216.5 points — a record for the tournament. Penn State’s record-setting performance this week is starting to feel commonplace. And while their dominance is certainly attractive to the donors in State College, is it good for the sport of wrestling at the collegiate and international level? Though Iowa, Ohio State, Michigan and Arizona State would love to add another team trophy, the fact that there is a clear frontrunner adds promotional value to the sport at the collegiate level, leads to better preparation for international athletes, and even helps push the sport to new competitive levels. While spreading around the title would seem to be a strong storyline, the best way for secondary and tertiary sports to get noticed in the mainstream media is through dynastic performances, like that of Penn State. Average Joe and Jane sports fan have an easier time remembering that Penn State is the dominant wrestling program in the nation, than they do who won each of the past five years. The story is simple and therefore its transmittable to others, even if delivered in exaggerated tones. To make this point clearer, I know that Anson Dorrance is the head soccer coach of the UNC women’s soccer program precisely because they won dozens of NCAA titles throughout the 80’s, 90’s and 2000’s. That’s a fact that draws me closer to their sport, because on the chance I see the sport on TV I will have a connection. Though not as applicable the interest-drive benefit of a dynasty extends to my interest in baseball. The Yankees are (or were) the dominant team, therefore I now have some knowledge of the sport and an interest in seeing them play (maybe not, but you get the point). When one team wins the majority of the championships more casual fans are aware of the sport. The international wrestlers also benefit from a powerful program. We’ve seen two world team members from the Nittany Lion Wrestling Club (four if you add in Jaime Espinal and Franklin Gomez). Members of these clubs are getting the very best collegiate workout partners, which helps keep them sharp in months without national team camps or international competitions. While that won’t seem to directly impact the other international wrestlers it does drive competitive investment from other RTC’s and adds value to the USA talent pool, from which many of these athletes find their training partners. When you’re trying to beat the best, you have to invest and think like them, too — that’s good for the quality of international wrestling in the United States. Finally, when one team attracts so much top talent and coaches it with such efficacy the sport is likely to improve through innovation, either from the program itself, or competitors looking to knock them down. When looking at the wrestlers coming out of State College it’s self-evident that they have changed the way the next generation has wrestled. That change will continue for years to come and will, again, benefit all parties. The Penn State dominance doesn’t look to be waning anytime soon, but that shouldn’t mean wrestling fans of all programs can’t find something encouraging about a runner-up finish. Q: What do you make of Rich Bender being named to the board of the USOC? Foley: Rich Bender being named to the board of the USOC is not just a gain for the sport of wrestling, but for the USOC in general. 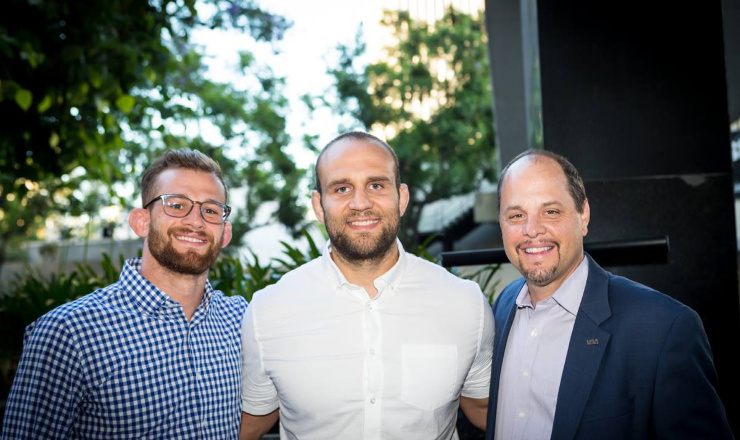 The board is made up of many very accomplished individuals, but none have been the head of an NGB and few interact with athletes with as much consistency as Bender. Remember that the USOC is a MAJOR player in the Olympic movement, with American media rights and company sponsorships accounting for a large portion of Olympic dollars. For wrestling there might not be a direct impact (ie. more Olympic weight classes) but being in the room and able to influence meta-level discussions will mean that positive changes are made throughout the organization. Congrats to Rich and his family! Q: Joe Smith looked incredible at the Southern Scuffle. 174 pounds has been thought of as a two-horse race between Mark Hall and Zahid Valencia. Do you see Smith as a title threat at 174 pounds? Foley: Joe Smith is THICK! I couldn’t believe my eyes, but also because Mark Hall looked thick I literally checked the proportions on my player, like it was in stretch mode or something. Smith did a lot to slow down Hall in the finals, but that wasn’t the highlight of the tournament. His wins over David McFadden 11-4 and Trent Hidlay 4-2 weren’t just impressive in the sense that he came up a weight and performed, but that he dominated. The control he showed in each position was enough to verify that his year could end in the national finals. That said, tough to discount Valencia or Hall. In all likelihood Hall is the top seed with Smith and Valencia set to meet in the semifinals. The interesting matchup there might be in the corner, as Coach Smith and Zeke Jones face off in a battle of lightweight Olympic class wrestlers! David Taylor is the freestyle wrestler of the year! Q: Who is the best heavyweight in Division I college wrestling? If all healthy, who wins the NCAA heavyweight championship? Foley: The heavyweight title race comes down to five wrestlers: Sam Stoll (Iowa), Gable Steveson (Minnesota), Derek White (Oklahoma State), Anthony Cassar (PSU), and Youssif Hemida (Maryland). The favorites are Stoll and Steveson, with a not-too-shabby Scuffle performance by White putting him in third. The real test starts in the dual meet season, but putting aside schedules and potential outcomes, I think we are going to use the eye test for this prediction. Sam Stoll. He’s larger, older, and may revel in spoiling Steveson’s coming out party in Pittsburgh. While I think Steveson is a monster, I don’t know that his outlook (Vegas face mushing and extracurricular activity) is the right outlook for the NCAA tournament. I’m in no way against having a little fun, but I think that overconfidence can jeopardize anyone’s NCAA tournament. It’ll certainly be a battle for the king of the heavyweight division, and with an active, mobile class the fans will be the real winners. Q: Now that Sebastian Rivera defeated Spencer Lee, do you think he can do it when it counts in March? Sea Bass CAN do it, but I would still choose Lee in a head-to-head matchup. That is absolutely no slight to Sea Bass, nor is it a comment on his immense talent, I just hitched my wagon to the Spencer Lee star and have to deal with the consequences for at least one more year. What is it like participating in a promotion’s iconic match? MLW Fusion: Did Tom Lawlor become a fluke champ?